Cantina Cup After Party at Cantina Bambina on the Transit Pier at The Wharf! 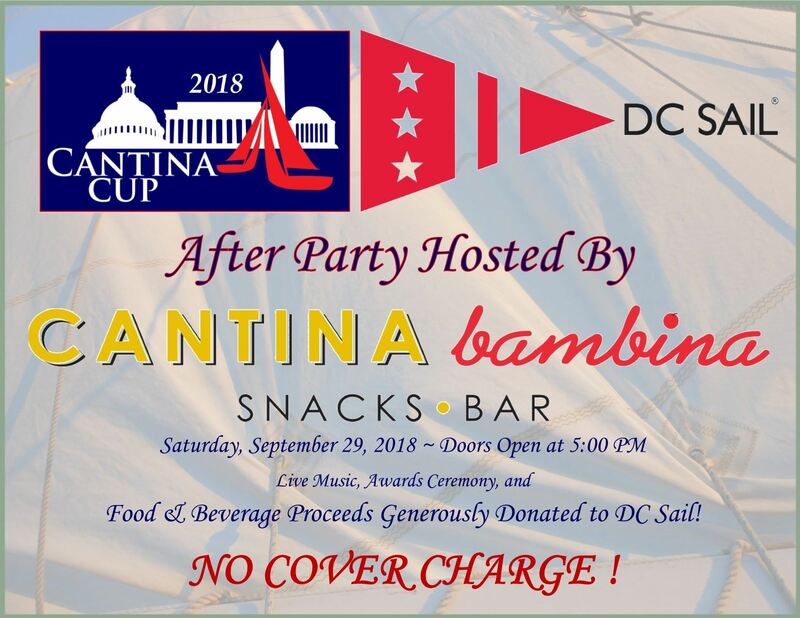 Our very generous hosts at Cantina Bambina have waived the cover charge and proceeds from food/beverage purchases from their lower level operations' window will be donated to DC Sail! Open to the public - no registration required. Please bring family, friends, colleagues, etc. Children are welcome when accompanied by a parent/guardian.